What do I wear with: Vialis 5347? Each Wednesday we’ll answer the on-going question: “What do I wear with these?” It’s a question we get quite often here at the shop and we love giving suggestions when helping our customers. This week we feature the Vialis 5347 boot. This week we feature a good old fashion granny boot. Well, sort of. This ain’t your grandma’s boot! These boots were definitely made for walking. 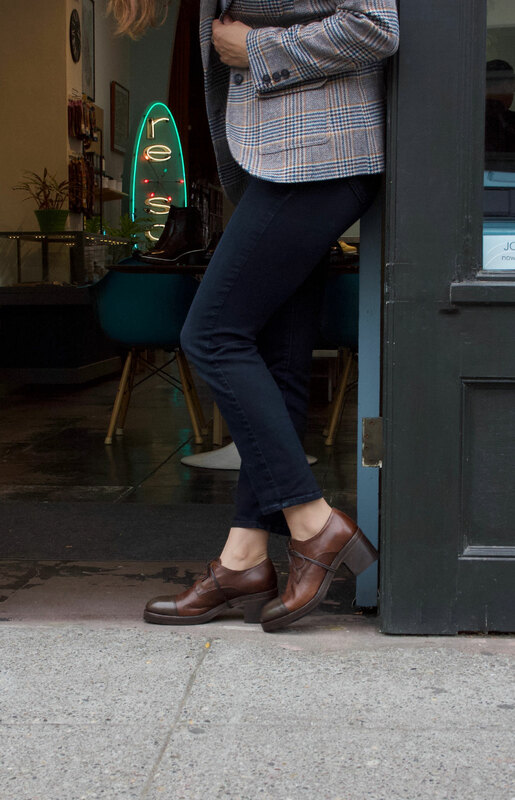 With a soft unlined nubuck upper, a stacked leather heel and subtle red detail. They are perfect for the recent change in the weather and versatile enough to wear with cords or a printed dress. > Women’s Vialis 5347 in Taupe nubuck leather. Reblogged this on Fashion Maniac!!!! !.